Chi Zijian. Figments of the Supernatural. Tr Simon Patton. Sydney: James Joyce Press, 2004. 205 pp. ISBN: 0-9580121-7-2. Does the old instinct bring back the old names. For Chi Zijian, not only does the heart need a language, “the soul of a person passionate about music [is] capable of giving off sound” as well (28-29). Figments of the Supernatural, a collection of six stories by Chi Zijian, is like a piece of music that flows from the depths of the author’s heart. This music carries the reader to a world where nature is shrouded in a ring of spiritual light, and the ancient relations of man with nature come alive. Elemental natural forces, tender human emotions, and a rich spiritual dimension all underlie the six pieces in this collection and endow Chi’s writing with a special lyrical beauty and sense of timelessness. For these qualities and her delicate literary sensitivity, she was awarded the 2004 Suspended Sentence Fellowship, a literary exchange program that aims to highlight the Joycean dimension of timelessness and continuity in contemporary literature. Born in 1964 in Heilongjiang Province, Chi Zijian is one of China’s critically acclaimed young writers. A prolific writer, Chi has won many Chinese literary prizes, including the prestigious Lu Xun Literary Award. While sharing some of the concerns and sentiments of women’s literature, Chi Zijian‘s unique perspective and exquisite style single her out among her contemporaries. Her writing brings a freshness to the increasingly pluralistic scene of contemporary Chinese literature. As critics have noted, Chinese literature witnessed great changes at the end of 1970s and into the 1980s. A variety of writing sprung up with fresh subject matter, such as “scar literature” (shang hen) and “root-seeking literature” (xungen wenxue). These new liteary styles challenged some political and cultural discourses of previous decades, but they were, by and large, still beholden to the dominant cultural paradigm of acting on behalf of clear national goals, aiming at social amelioration, and representing a collective narrative of the People rather than individual voices. A break in this ideology and discourse didn’t take place until after the mid-1980s, when contemporary Chinese literature started “walking toward the world.” Since then, exciting changes have taken place in Chinese intellectual life: writers reexamined Chinese tradition; there was a more open attitude to new ideas and philosophies; and a conscious attempt to establish a new discourse and new narrative modes. It was in this climate that Chi Zijian and a group of other women writers, including Wang Anyi, Zhang Kangkang, Chi Li, Fang Fang, Can Xue, Chen Ran, Xu Kun, and Lin Bai, appeared on the scene. The works of most of Chi Zijian’s female contemporaries are mainly concerned with urban life: from the neo-realist Chi Li’s Not Talking about Love (Bu tan aiqing) and Fang Fang’s Landscape (Fengjing), to the avant-garde writer Can Xue’s Dialogues in Paradise (Tiantangli de duihua), Chen Ran’s A Private Life (Siren shenghuo), and the works of the so-called “writing beauties” such as Wei Hui’s Shanghai Baby(Shanghai baobei), Chun Sue’s Beijing Doll (Beijing wawa), and Mian Mian’s Candy (Tang). Whereas these writers focus on life in the metropolis – werther urban predicaments and ennui, consumerism, decadence, sexuality, or psychic trauma – Chi Zijian chooses to stay away from the hustle and bustle of the cities, depicting instead the simple and unaffected, even banal, ordinary life of rural people, and hewing closely to the regional character of her birth place in the northernmost region of China. 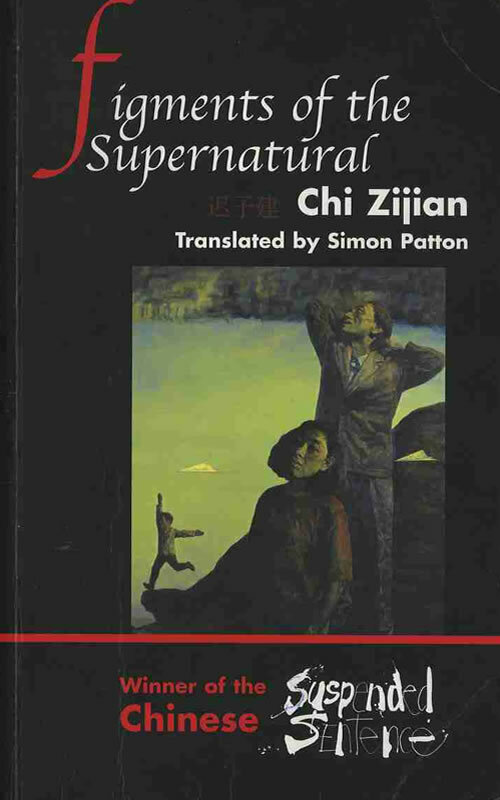 Figments of the Supernatural is the first book-length translation of Chi’s work into English. The six stories in the book were selected by Simon Patton, the translator, “intuitively” from Chi Zijian’s book Walking with Water (Yu shui tong xing), published by China Youth Publishing House in 2001. In his admirable translation, Simon Patton tactfully retains the subtlety and sensibility of the original. The first story “Fine Rain at Dusk on Grieg’s Sea” (Gelige hai de xiyu huanghun) moves back and forth between the hometown of the late Norwegian composer Edvard Grieg and a small town in northern China through the agency of sound and music. From Grieg’s music on the waterfront, to the enigmatic sounds of a landlocked town, sound becomes the link between the human world and the supernatural.Listening to Grieg’s music at Grieg’s home and watching fine rain dropping on the surging waves of the sea, the first-person narrator is reminded of the strange sounds she heard in a deserted country house in northern China, which made her flee from that place. An epiphany now dawns on her: the strange sounds she used to hear in that wooden cabin were truly heavenly music, a song of the human spirit, and she feels ashamed to have tried desperately to rid herself of them. She realizes now that those sounds were “the expression of an unbroken attachment to the human world made by a soul which yearned for life” (28). So she returns to the wooden cabin after her trip to Norway. Once there, listening to those familiar sounds, she thinks of Grieg and his music across the ocean, and her heart swells with affection. The fourth story, “Washing in Clean Water” (Qing shui xi chen), gives an account of the tradition of yearly bathing as seen from the perspective of a boy named Tianzao. Tianzao is always responsible for heating up and emptying out the bath-water during this family ritual. He detests the formality of the annual bath, and he especially doesn’t like it that he has to bathe in water already used by somebody else. This year, however, the bath gains a new meaning for him, not only because for the first time he is allowed to use clean water, but also because the sound he hears from the room where his parents are having a bath evokes in him an adolescent awakening, albeit a rather vague one. The sound of the splashing bath water, of the shuddering bath-tab, and the murmured endearments of his parents make Tianzao go itchy inside, and as his face turns bright red, “he felt an overwhelming desire to sing … as he hummed, the still night [made] the melody sound particularly stirring – it really sounded as if the music of heaven were all around him” (140). “Willow Patterns” (Heliu tu) is a story of Jinlan’s second marriage, and her difficult relationship with her husband, the widowed Pei Shaofa, and his daughter. Jinlan can always sense the presence of the late wife of Pei Shaofa, which makes her profoundly uneasy. To Jinlan, “her new family was like a machine that had automatically assembled itself and that frequently broke down. Sometimes these breakdowns involved a human element, sometimes a ghostly element, and sometimes they involved the river willows”(147). Whenever Jinlan thinks of her ex-husband or feels emotionally frustrated, she goes down to the river to look at the willows. The symbolic function of the willow branches is evident. The final story “Cemetery under Snow” (Baixue mu yuan) shows how a family copes with grief and how strong the love is between the narrator’s parents. After the death of the husband, a round, red speck appears in the wife’s left eye. The red spot does not vanish until she visits her husband’s grave in the cemetery under snow. “Father had been unwilling to go off alone and sleep in the cemetery in the hills, and so he had hidden himself in Mother’s eye until she took him to his resting place herself – only then did he have the peace of mind to remain there” (205). The first person narrator always feels the presence of his deceased father: “I knew that Father was never really there in the room with me, but it felt like I was seeing him all the time” (189). The presence of the dead is always felt, whether aurally, as in the sound and music in “Fine Rain,” or visually, as in the red speck in the mother’s eye. The dead still affect the living; they live in various forms and capacities in people’s hearts. These stories do not present bigger-than life heroes or idealized abstractions of man; instead, we are given representations of reality and individuals restored to their most commonplace details. By virtue of these characteristics, Chi Zijian is often referred to by critics as a “neo-realist” writer. Neo-realism, still a vital mode of representation in China, deviates from the impersonal and instrumental approach of critical realism – later socialist realism and revolutionary realism – that dominated modern Chinese literature from 1919 to the mid 1980s. Insofar as she reflects individual ideas and sentiments and depicts the everyday life of ordinary people, Chi Zijian’s writing is akin to neo-realism. However, her works seem to defy clear-cut labels, partaking at the same time of romantic and nativist characteristics. In terms of artistic expression and representation, Chi’s writing, with all its sensitivity, intimacy, sentimentality, and melancholy, is steeped in romanticism. This is how the story of “Potato Lovers” begins: “If you could look down at the town of Lizhen from the Milky Way in July, you would see gardens everywhere in full bloom. … in the light of the moon and the stars [the flowers] are suffused with a bewitching silver-grey color. When – doing your utmost not to make a sound – you listen to the gentle whisper of the wind caressing them … a rich, enduring fragrance that comes from the earth: the perfume of the common potato flower. Amid the splendor of heaven, you are unable to stop yourself from crying and, as your tears fall upon the bell-like flowers, they make a pleasant music that is gracefully disordered” (30). Chi Zijian’s commitment to her hometown, her interest in folkways and customs, as well as the feelings of nostalgia and homesickness evoked by her texts, echo Nativist literature (xiangtu wenxue) of the Republican era. Chi’s writing about her native place in northeast China, for instance, is reminiscent of Xiao Hong’s “Tales of Hulan River” (Hulanhe zhuan): apart from their similar lyrical style, one finds similar regional flavors, local festivals, even exorcist rites – though the pictures Xiao presents are far grimmer than those of Chi Zijian. Chi’s pantheistic approach to nature and her depiction of rustic simplicity and sincere human affection also remind one of Shen Congwen’s rustic stories, such as Border Town (Biancheng). The world in which Chi Zijian’s characters live is not just secular and pragmatic, it also has a magical and spiritual quality as well, which is indicated by the title of the book. 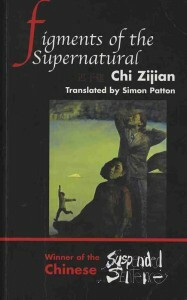 The book is so named because “the supernatural,” writes Simon Patton in the preface, “is a presence in all the stories translated here, a subtle but significant element.” Chi Zijian herself, speaking at the Sydney Writer’s Festival in June 2004, said that she was very aware of the supernatural world and highly sensitive to it. Spirituality is ubiquitous in all the stories. The spiritual serves as a vehicle for an exploration of nature, sense of place, and perhaps human identity. This supernatural presence and the mysterious atmosphere and haunting quality render Chi’s writing all the more intriguing and enchanting. Unlike Soul Mountain, in which Gao Xingjian evinces a curiousity about the spiritual and mystical elements he finds in ethnic minority areas and distant local cultures during his journey in quest of inner peace and freedom, Chi Zijian finds spiritual elements in quotidian life. Indeed, spirituality, rituals, and magic create a vivid ambience in Chi’s fiction and help to shape a series of striking character portraits. Different also from Mo Yan’s nightmarish mythical world, Chi Zijian’s rural landscape of mystery and phantasm is more peaceful, often imbued with warmth and affection. Chi’s book may not be a typical feminist work, yet her feminist perspective can still be discerned. It is manifested in the relationship of equality between husbands and wives, as well as in the important roles wives play. While enjoying mutual love, the wives are usually more active and the husbands more dependent. This is true of Baozhui’s parents, the potato lovers, and especially of the husband’s soul perched in his wife’s eye. The only exception might be the relationship between Jinlan and her second husband Pei Shaofa, which seems to fall into a traditional patriarchal stereotype. However, the step-daughter’s attitude towards Jinlan’s second marriage is a strong declaration of Chi’s feminist views. The step-daughter writes in her diary: “Actually, it’s not that I hate Cheng Jinlan, I just hate her for being spineless enough to marry my dad. After Li Muqing dumped her, there was no need for her to be so lacking in self-respect that she had to marry a small-minded, uneducated man like my dad” (176). Feminine sensitivity is a striking feature of Chi’s writing. Overall, Figments of the Supernatural is a beautiful book, containing richly detailed depictions of the traditions, customs, and everyday life of ordinary people in north China. These stories may not be as sensational as Shanghai Baby, but they nevertheless possess a quiet charm and lasting grace. Chi Zijian’s writing takes its reader not only on a journey of heart and soul, but also on an excursion of beauty and charm, where nightingales’ sweet songs reverberate amidst a vast forest often covered by snow.